It’s that time of year again! Time for us to get our gears in check for warmer weather, which makes for the perfect conditions to go outside and spruce up your home garden. There are plenty of fun activities to do outdoors in the spring, so why not take a moment and add some new foliage to your front yard. We have a few recommendations for native Ohio plants you can add to your yard and they are a sure fire way to change things up from the dreary days of winter to the warmer days of spring. Our first flower of choice, known by its scientific name as the Aquilegia Canadensis, is a delicate flower called the Columbine. Known for being a perennial wildflower, the Columbine is a hardy plant that can bloom in the shade or survive well with mixed company in a border garden. 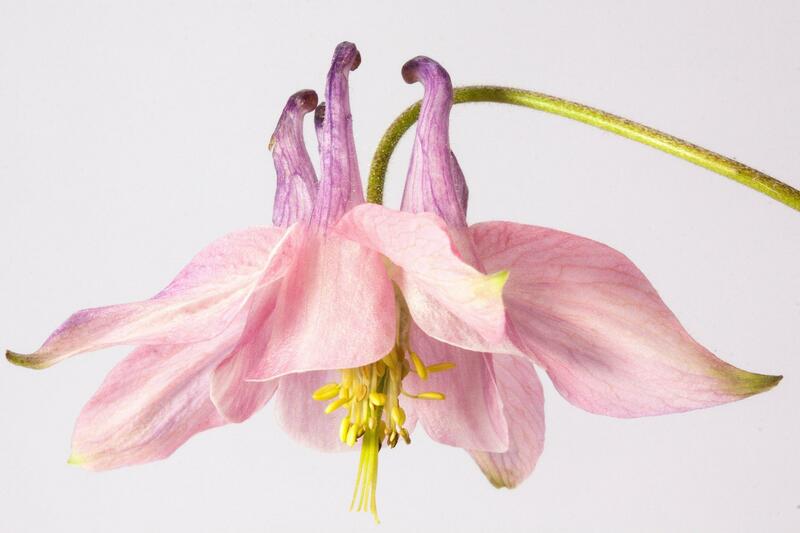 There are over 60 different species of the Columbine flower, with an abundant amount found in the northern hemisphere. Some cultures refer to this flower as “the fool” due to the fact its shape resembles a court jester’s hat. Other fun facts about the Columbine flower is that it is known to draw in hummingbirds, is symbolic of innocence, and is believed to be a protective plant against evil. Try planting Columbines in your yard this year to see if you get some new wildlife and positivity at your door. Culver’s root is our next recommended flower of choice. 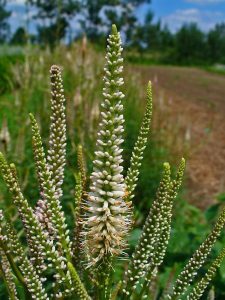 You can find this plant in a variety of different locations such as prairies, savannas, swampy marshes, and the edges of forests, riverbanks and hillsides. Unlike the Columbine, Culver’s Root grows well in moist areas with plenty of direct or partial sunlight. This plant is considered threatened in some states like Massachusetts and New York where the overuse of pesticides cut back on their numbers. Add this plant to your home garden to bring its population back to life in your area. These flowers bloom during the summer, specifically during the weeks between July and August. The flowers bloom from the bottom to the top, making for an interesting blooming period during the start of the season. Be prepared for new insect neighbors because this plant brings more bees, moths, flies, and butterflies to your yard. 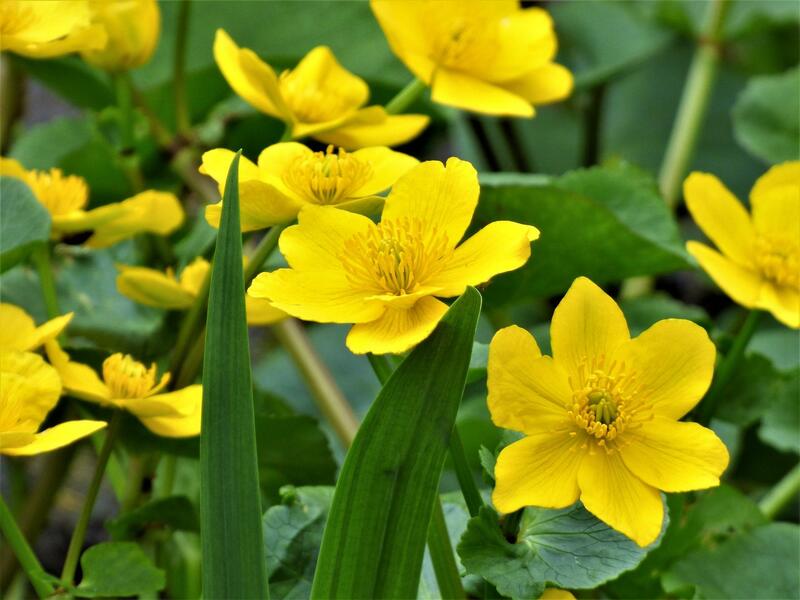 The Marsh Marigold comes from the Ranunculaceae family, which means it is a known as a buttercup flower. These flowers bloom closer to April and May and prefer to grow in part, if not all, shade with moist living conditions. Overall, this flower is low maintenance when it comes to care, only really needing attention so as not to dry out from early spring and winter winds. The seeds of this plant should be planted immediately after ripening, and will not flower until the third year following germination. If you have any questions on this plant, try contacting your local greenhouse to get more in-depth advice from experts. Black Diamond Garden Center is a great local stop with a knowledgeable staff that can help you find the plants you need, and teach you more about working with them. Nature’s Corner and the Toledo Indoor Garden are two other great locations to go for help with starting your spring garden off on the right foot. 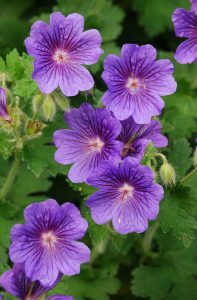 Another stunning plant to add to the patch is the Wild Geranium with its lovely dissected leaves with pinkish-purple petals. 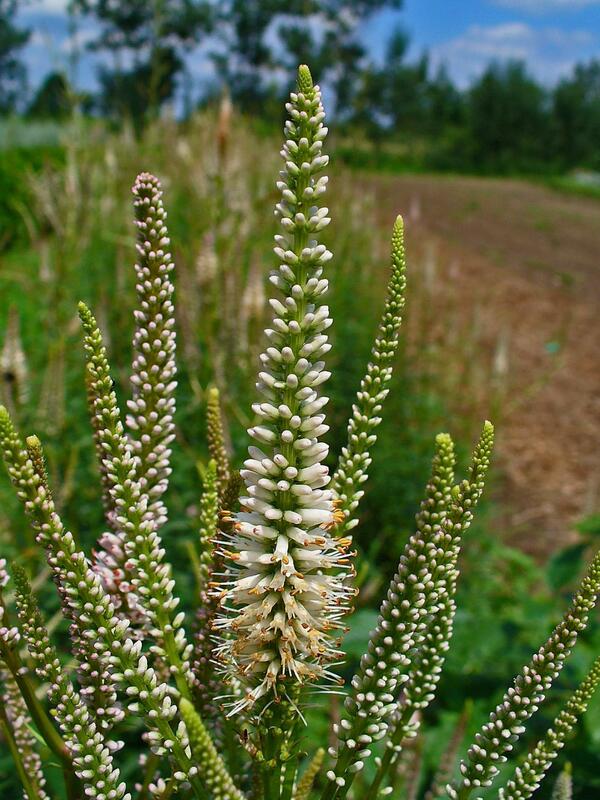 This plant spreads in clump formations when planted, and can attract bees, butterflies and other insects with its scent. These flowers can get anywhere from 1-2.5 feet tall, and are commonly found in woodland areas. The reason why the Geranium spreads so quickly in a garden is due to its unique seed spreading capabilities. Each seed can be found packed into a small pod, which over time dries out, and sends the seeds flying until they land on the ground. The tail-like structures attached to the seed help it move around based on the humidity of the area. These same hairs help the plant burrow deep into the ground for germination, once they have landed upon a patch of soil. 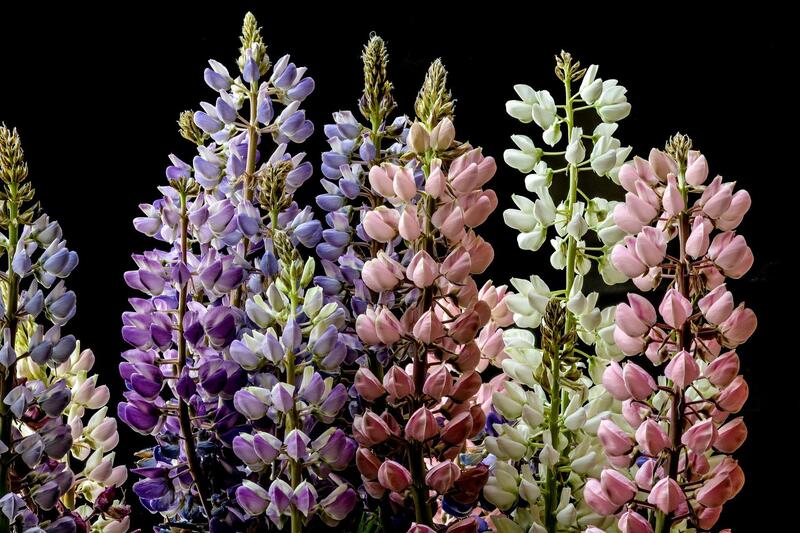 Wild Lupine bloom with dozens of pea-sized flower heads popping off its stem. The lower parts of the flower are typically blue in color, while the upper sections of the plant have a two-tone blue and purple, sometime blue and white color combination. Other color variants outside of the typical blues and purples include shades of near white, to breathtaking pinks, reds, and yellows. 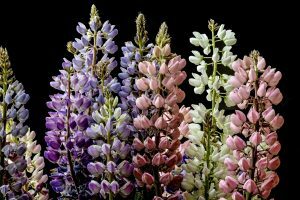 The Lupine can adapt to survive in dry soil conditions like sand, gravel and clay, but typically thrives in well-drained soils. The growing and blooming season for this plant is brief, starting in the spring and quickly going dormant by mid-summer. It is also known to naturally draw in the Karner Blue butterfly, which is labeled as an endangered species native to the Great Lakes region. Similar in appearance and color to the Marsh Marigold, the Wood Poppy is another perennial flower that grows best in dappled sunlight beneath a tree or along the foundation of a building where partial shade is achievable. As long as the soil is moist, the Wood Poppy can withstand being in the sun for longer hours. Be sure to stay on top of watering these flowers during drought season, or they will dry out to an ugly yellow color. 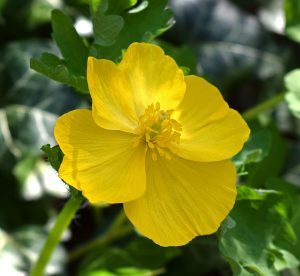 The petals of the Wood Poppy are best identified for their bright yellow color, but do come in other colors like orange. Add a pop of color to your spring garden after winter has ended with the Wood Poppy. Other flowers that visually pair well with the yellow of the Wood Poppy include the Flag Iris flower Meadow Rues. 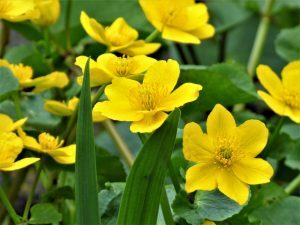 If you’re in a more wooded area, try pairing this plant with the Foam Flower and Woodland Phlox to really set your flowerbed apart from the rest. For more specifics and information on native Ohio plants, go to Cleveland.com to read more! See what all is available in your area to brighten up your spring. You can find different variations of Ohio native flowers and how they each have their specialty in attracting butterflies, bees, and hummingbirds. Additional information is also given in regards to the development and growth of native flowers.